The Rich Dad Mission is to elevate the financial wellbeing of humanity…That includes you. 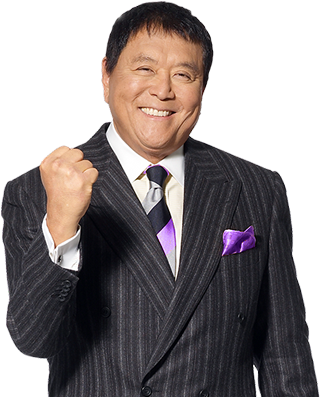 When Robert Kiyosaki’s rich dad taught him the secrets of the wealthy he started by teaching Robert the CASHFLOW Quadant. To express Rich Dad’s mission based on this Quadrant, Rich Dad wants to help you move from being an employee or self-employed employee to a business owner and investor. The Quadrant tells who you are at your core—your values, strengths, weaknesses, and interests. Even worse, this person has very little control of his/her own life. A self-employed employee individual often says, “if you need something done right, then do it yourself.” These people are often ruled by a clock as they charge hourly rates for their services. They can make a lot of money, but they have to work very hard and a lot of hours. They tend to think they are smarter than everyone else. These people are not actual entrepreneurs. They fell into the biggest trap. They did not build a business. They built themselves a job. The Rich Dad message and philosophies are designed to help you leave the employee and self-employed employee quadrants and enter the big business and investor quadrants. This is where you don’t have a job. You have systems doing the jobs. And you have your money working to make you more money. In the Business and Investor quadrants you have the most free time, money and control your life. So to repeat, Rich Dad’s mission is to help you move from being an employee or self-employed employee to a big business owner and investor. Rich Dad’s mission is so important because schools exist to turn you and your children into employees. Schools do not teach you about money, investing or entrepreneurship. That is Rich Dad’s purpose. BROUGHT TO BY ROBERT KIYOSAKI. The Easiest (and SAFEST) Option Is #5 Below… Make Sure To Take Action! I don’t say this to brag. But the last three train wrecks I predicted in the economy actually HAPPENED. I hate to be the bearer of bad tidings (again!) but we both know it’s just common sense. The next train has already left the station! The question is not IF another economic crash is coming. It’s WHEN. I believe we are due very soon for a major correction, maybe even a collapse. How can we prepare so that we don’t just survive the coming storm, but come out even stronger and RICHER? Is that even possible? I know it is, because it’s happened before. Who Will Get WEALTHIER During the Next Economic Crash? We all know that in every former crash, while many people lost their shirts, there were always a few who actually made money. These were the people who did not follow the crowd. They kept their cool, and saw opportunity while everyone else was panicking. They took action while others stood paralyzed and passive. They were alert to the potential in emerging new technologies and enterprises, and got in early. Instead of playing by the same old rules as the rest of the world, smart people seek out out brand new games that they can win. These are the people like Charles Darrow. You may not know his name, but when Darrow found himself out of work like so many others in 1929, he didn’t let the Great Depression destroy him. Instead, he used his downtime to invent and patent a game we know as Monopoly. Parker Brothers bought it, and made Darrow a millionaire. For anyone else who believes that there is ALWAYS opportunity present, even in (especially in) the midst of crisis, read on! I use them as a way to protect myself if the dollar drops, like it did in the 1980s. With all the instability in the world and in world currencies these days, it can make a lot of sense to protect oneself by having at least some money in precious metals. I certainly do. First, buying gold and silver is NOT about making a big profit. It’s about retaining the value of money you already have. So, this is only for someone who is sitting on enough extra cash to tie up for a while. I know that’s not most people. Debt is a dirty word these days. But not all debt is bad. This little-known way of using debt can actually make a profit, if done right. Like buying gold and silver, this strategy also has to do with the value of currency. In this case, debt becomes a place to park money while we WAIT for a currency to collapse. Then when the currency goes down, the value of the amount needed to repay the debt goes down with it. I’ve seen people using this strategy make 30% on their “investment” by pocketing the difference. The money they’re using to repay the debt would ALSO have lost value (so it needs to come from another investment). Interest on the debt has to be paid in the meantime. There’s no way to predict how much the currency will fall. There’s the risk that the currency WON’T collapse at all —which means they’ll lose money. When Ben Franklin said “a penny saved is a penny earned” he was talking about being thrifty. But he could just as easily been talking about taxes. When a person saves thousands by knowing their way around the tax code, it’s just the same as earning thousands extra. Still, I know people’s hearts sink when I mention this topic. After all, what could be more tedious and complicated than understanding taxes? But that confusion is exactly what the government counts on. When the crash comes, and the government needs money, guess the first place they go to get it? But people who know the tax code get to keep more of their money. A LOT more. Traditionally, rich people have used tax strategies to preserve their wealth through good times and bad. Of course, they don’t do it all by themselves. They have savvy experts to advise them on how to shelter their income and investments from taxes. These are all totally legal ways to keep the government’s hands off your money, and there are many more. The downside to this strategy is, it’s really most helpful for those who are really rich. But it only makes sense to hire the kind of experts who understand this stuff when there is a lot of money to be protected. It’s always astounding to me how people with what I call a “poor dad” mentality act when it comes to their own money. They put more effort into comparing the specs of flat-screen TVs and other toys than their investments. They don’t think about preparing for retirement until it’s way too late. These people will suffer their own personal crash, no matter what the economy does! Then there are other people who have done “well”, but who hand their money to a financial planner and never look back. That’s a huge mistake too. When the economy is good, everything seems fine. Their portfolio does well, because everyone’s does. They think they can cruise. But trust me, when the next crash comes, they’re going to have a rude awakening. Financial planners will be scrambling to salvage the portfolios of their very best (read: richest) clients. They will be on their own! So it’s important that we all make ourselves, our money and our financial literacy top priority NOW, because no one else will. Knowledge is power. Educated people will always do better in both good times and bad. But it’s not enough to just play defense to preserve our wealth. That will only take us so far. We also all need to be constantly on the lookout for promising new trends in wealth creation. I’m talking about things that can have a significant impact on our incomes and our futures. This is the strategy I’m MOST excited about right now! There’s never been an opportunity like this in history. I know it sounds over-dramatic but it’s absolutely true. Today anyone can take total control of his or her financial future and generate an amazing, recurring income, with next to no risk. With only a laptop, the internet makes the entire world into a giant marketplace. Any individual can tap into this amazing market using simple tools like email and digital downloads. That’s because the products being sold are all information-based, meaning they are digital. So the business owner can be virtually hands-off, anywhere in the world, because everything takes place online. People doing this are literally making money out of thin air right now. Best of all, even a crashing economy can’t take it down. Customers will always search and pay for solutions they really need. That’s why I believe online entrepreneurs will thrive during the next economic crash better than anyone else. 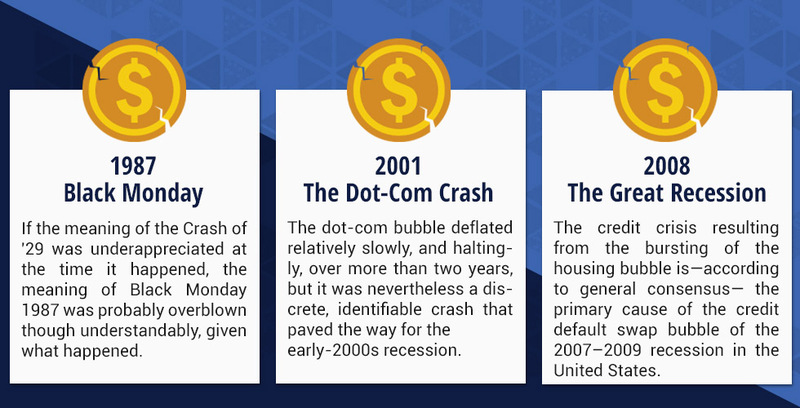 They’re going to be the legends people talk about in the future — the ones who became millionaires even during this crash! I’m sure anyone who’s read this far will be wondering how to get started. One of my friends and foremost experts in this space has graciously offered my readers a chance to download his bestselling Report for FREE. Survive The Crash, Using The Internet. The #1 Way To Survive The Economic Crash Is Right Under Your Fingertips - Your Computer! Download This FREE Report Now The 5 Steps To Building an Online Business! Download The Book & Save My Free Seat Now! 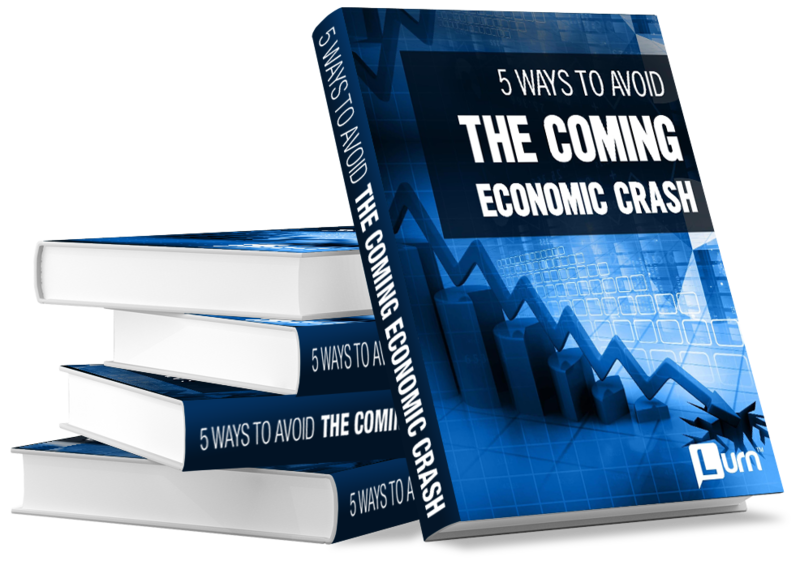 Free Report: 5 Tips to Avoiding the Impacts of the Crash that is Coming! 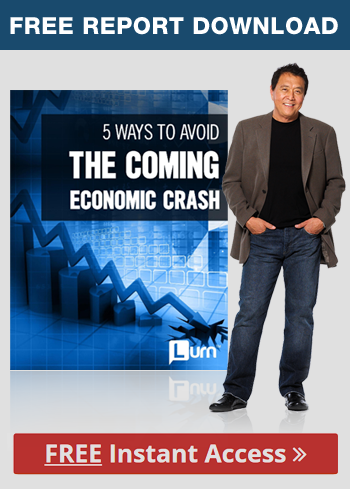 Learn How to Not Only Survive the Upcoming Crash but Actually PROFIT! BUILD DEMO- Join us for a FREE workshop and watch us actually BUILD a BUSINESS right in-front of you in just 20 minutes or less! I know I was very excited when I first read this report. In fact, I even stalked the author until helet me write the forewordfor the edition you’re about to download. That’s how certain I am that this is the best key to individual wealth today. So don’t get hammered in the next crash. Get rich instead. If I want to learn something, I go to someone who has demonstrated by results that they know. Anik Singal knows! Bob Proctor Thought Leader and Teacher in "The Secret"
Anik's teachings have not only had an impact on my life, but have transformed my kids lives. Powerful stuff! Disclaimer: We do not make any guarantees with this Free Report Please note that all your results are based on your effort and dedication to what is taught in this report.